James Enck has already blogged extensively on Day One of the Telco 2.0 event and the Broadband Connectivity breakout on the second day and my colleague, Martin Geddes, has given some snippets from the Voice and Messaging day. I ran the Advertising Funded Content breakout which attracted between 30 and 40 delegates (people moved around throughout the day and numbers therefore fluctuated). Delegates will receive all the verbatim output from this and the other breakouts as well as the plenary session on the first day, together with a summary analysis (the ‘So What?’) in the next few days. We will also send you a link to all the presentations. However, for those that couldn’t make it, here is a brief overview of what we covered in the Ad-Funded session. It’s obvious why Google has paid $1.6 billion for YouTube - they think this number is going to grow even bigger. How does the operator role change on-portal vs off-portal? What is the best advertising model - pull vs push? Are there technical issues and constraints? How should we manage legal and regulatory issues - DRM and data protection? I also outlined some inital thoughts on what operators should be doing to realise the opportunity for Ad-Funded Content. At STL, we believe the key asset for operators is their existing customer relationship and customer data - things that are largely taken for granted and not exploited. 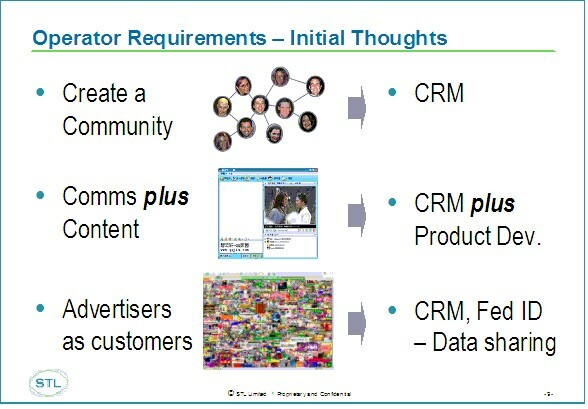 Exploiting these requires much more sophisticated CRM systems within operators and a greater appreciation of how customers consume and create content and communicate with it. This has substantial product development implications for customers as existing communications propositions need to be enhanced and extended. The other key requirement for operators is to appreciate that in the new world there is a new source of revenue - upstream advertisers. Google currently makes 99% of its revenue from these players and less than 1% from users. For operators, the reverse is true. Turning the business model on its head requires a new organisation and culture - one which treats upstream advertisers as customers not vendors or partners. After this, Judy Gibbons from Accel Partners (a VC) outlined her views on the business models which would be successful going forward. She agreed that customer data and attention were critical if operators were to derive value from advertising. She drew a fascinating parallel between Microsoft in 1995 (where she worked) and telco operators now. In 1995, Microsoft’s business model was exclusively built around user purchases of software licences and the company had kicked off MSN but had no understanding of how to generate advertising revenue. Microsoft was forced to turn its business model upside down and Judy explained how operators needed to do the same by adding value to advertisers through increased customer knowledge and a better response feedback mechanism (who bought what, when and why). Patrick Parodi, Chairman of the Mobile Entertainment Forum (MEF), then gave a very upbeat presentation on the opportunity for operators in mobile advertising based on some research that MEF has carried out across the value chain. He then went on to explain how the start-up he has joined, Amobee, has some of the answers for operators. Delegates responded favourably to these presentations but many wanted more details on how the business model would work in practice and the potential role of operators. It was, therefore, great to have Rory Sutherland, Vice Chairman of Ogilvy One, step up and give his views. I would strongly recommend any of you interested in advertising (or indeed those that are not) to listen to Rory. He is very amusing and spoke at length without the crutch of slides on the opportunities and issues for operators from an advertisers perspective. Rory highlighted the ‘old world’ metrics used by media buyers which do not easily apply to internet advertising - Demographics and Reach per $ Cost being most important. He went on to say that media buyers found it difficult to put a measure on Relevance and Context (things where the internet and telcos can score highly) and that operators could add value by providing standard metrics for these things. I felt that some of the operators in the room used this as an excuse for inactivity. “We can’t generate value from ad-funded content because the advertising world won’t engage - the operator can’t do everything on its own.” Absolute rubbish. Advertisers engage and pour money in where they see value. Google, Yahoo!, MySpace etc. 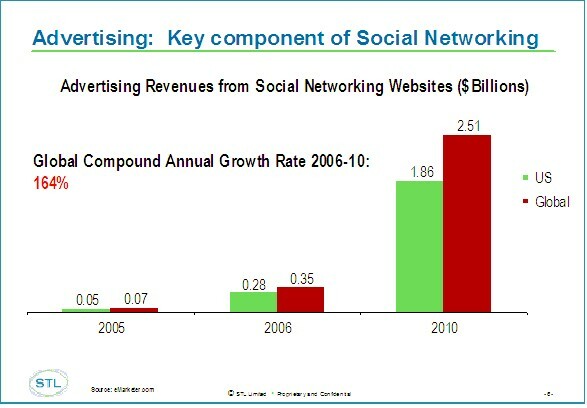 create value and advertising dollars follow. Operators cannot expect their customer to creat the market for them - they have to do the hard bit in order to benefit - you reap what you sow. Rory intimated as much by reiterating the value-in-customer-data theme that Judy and I had spoken about. He felt that contextual data about location, time, product purchase etc. could be used to better understand what the customer wanted and also their lifetime value. Rory also talked about the need for standardisation in delivery methods and platforms. This was something that was picked up by Steve Shine, Senior Vice President and General Manager of EMEA at Sybase when talking about the Avantgo solution in the afternoon. He explained that Sybase originally bought Avantgo for a piece of technology related to another part of the business and are only beginning to realise the value of the company now. In the early days, they nearly killed the golden goose by being too closely tied to the Palm platform. As people moved on to new platforms the customer base dwindled. They now have a solution that is largely platform independent with 1500 content channels, the ability to create personalised channels via RSS and contextually relevant advertisers. It was clear that these guys really knew this market. Interestingly, Steve directly challenged some in the room from operators who clearly felt that giving away services for free to users dumbed the service down and resulted in lower value customers. He echoed Jim Holden from Google’s presentation on the first day about giving away value to users to create value from advertisers - grow that loyal customer base. He explained by offering real value users are flocking to Avantgo and the company can now actually charge providers who want their content listed! This really was a shock to operators used to paying through the nose for content. I will blog more extensively on my experiences with Avantgo in the next few days. John Riordan, Senior Consultant Manager at Swisscom Innovations, picked up the CRM theme too. John has clearly been thinking about advertising as a new or incremental revenue source for some time. He talked about the operator potentially managing the customer’s profile and providing an number of support services to advertisers - including ad tracking, measurement and billing and payments on mulitiple platforms - TV, Web Search, Mobile etc. Advertisers would pay for information about customers and access to them - enabling the operator leverage their customer relationships and billing platforms. He raised some of the data protection issues (the need for customer opt-in) but created a very plausible case for a sustainable position for the operator in this market. We had a very interesting demo from Richard Marshall, CTO at Rapid Mobile. He showed off their new product, Ad360 which provides interstitial advertising on mobile phones. When users click on an content link then contextually relevant advertising is popped on to their screen. Click-throughs and fulfilment rates can also be measured. Many who had felt the business model changes being proposed thus far in the day were too radical, found this simple and practical solution much more palatable. Here was something that they could do in the near-term to trial advertising. This theme of the need to trial and learn about the market came up strongly when discussing next steps. To round off we had Falk Wöhler-Moorhoff, Senior Business Consultant, Innovation, at Detecon Consulting giving a blue-sky talk on P2P TV and how this content distribution model could change the cost model for operators. Falk argued a strong case but, unfortunately, there were too many marketers in the room who didn’t “get” the customer proposition. I suspect that if we had had more network ops and finance people present they would have seen the potential value of the solution. We had a vote at the end on “How confident are you that operators can carve out a sustainable and valuable position in advertising funded content?”. I am was pleased (and surprised) to find that over 50% were either Confident or Very confident that operators would achieve this. To my mind, the jury’s still out.